Hunger is a perfectly natural and very important thing. We need to feel hungry in order to be reminded to eat enough. However hunger comes in many forms and when it’s not genuine biological hunger it can result in us eating too much. Many of my clients tell me that hunger is a very real challenge for them when trying to reach or maintain a healthy weight. So here are my top 5 tips to help you boss your hunger and keep your weight healthy. 1. Banish blood sugar swings. 2. Make sure you’re not thirsty? We often get so busy that we forget to take in enough fluids and thirst tricks us into thinking that we’re hungry. Avoid getting thirsty in the first place by carrying water or sugar free drinks with you. If your urine is dark and there’s not much of it then you’re not drinking enough so make an effort to drink more. Contrary to popular belief even tea and coffee count towards a good fluid intake. Just don’t have full fat milk and added sugar or syrups as these will pile on the calories. If you think you’re hungry drink a glass of water and wait 10 minutes then ask yourself if you still feel hungry. You might find that actually you were just thirsty all along. 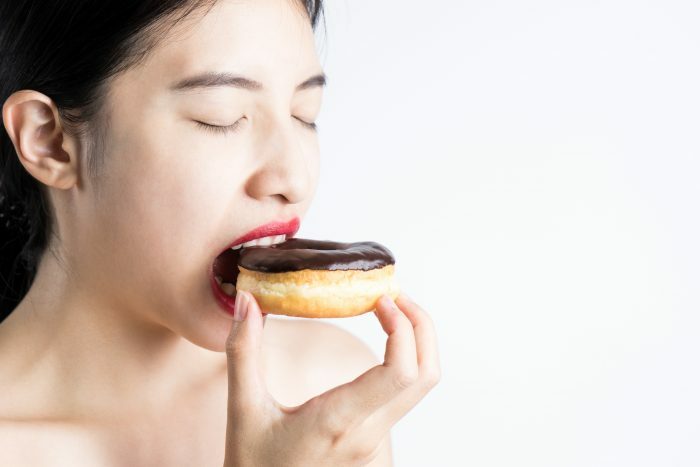 If someone has just walked past with a large muffin or pizza or if you are out shopping in an aisle full of tasty treats then you might be experiencing mouth hunger. Try having individual cubes of chocolate or pre-packed 10g bags of crisps with you. Mouth hunger is often satisfied by just a tiny amount of the taste that is being craved so work out where your vulnerabilities lie and try to be prepared. 4. Weaken the link between eating and negative emotions. When we experience feelings of anger, stress, boredom or sadness we often link these with hunger when we are not actually hungry at all, we are just seeking comfort. Try not to be tempted to just have a healthier option that still has the feel of a treat because this will not help you break the comfort eating habit. Make a note of things you think might help you and stick it on the fridge and cupboard doors. Try phoning or snap-chatting a friend, a therapeutic rant on Facebook, listening to music, watching a comedy show, a warm bath or a walk around the park. The tonic will vary from person to person. You just need to find something that works for you. If you get to the end of a meal but still feel hungry check it’s not just variety that you are looking for. Often it’s a sweet taste that’s missing. If you need to include sweet tastes with meals then develop a repertoire of low sugar puddings. There are some fantastic ideas here from the Healthy Food guide. Just filter by desserts and low sugar/low calorie and you will find lots of options. If it’s not so much sweetness that you need then take a look at your meals and consider whether you would enjoy more variety of textures, flavours, aromas or colours. If you need individual help managing hunger or weight please do make an enquiry here. This entry was posted in Nutrition works, Understand and manage your hunger and tagged healthy weight, hunger, weight loss by Stephanie.fade. Bookmark the permalink.